The Chief of Air Staff, Air Marshal Sadique Abubakar, has deployed a special medical team to flooded communities in Bayelsa and Delta states to offer free medical assistance. Several communities in Sagbama, Kolokuma/Opokuma, Yenagoa, Southern Ijaw, Ekeremor and Ogbia have been badly affected by the flood, with the National Emergency Management Agency (NEMA) disclosing that 150,000 people have been displaced in the state. Governor Henry Seriake Dickson had recently appealed for help from the Federal Government wondering why Bayelsa was omitted from the list of states the federal government declared flood emergency. 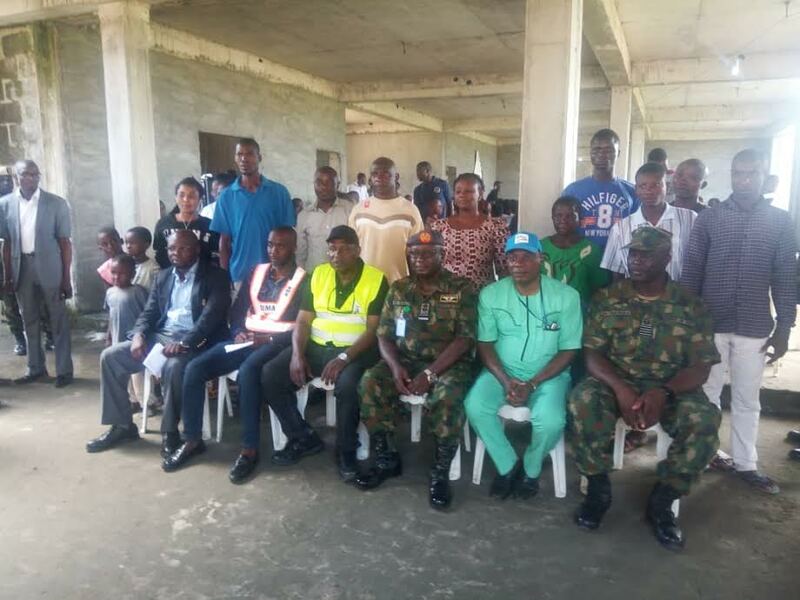 Abubakar, who disclosed the deployment of the medical team in Yenagoa on Thursday during the flag off of the free medical outreach programme at the Internally Displaced Camp (IDP) for flood victims, said the medical team are to tackle diseases associated with flood disaster. The CAS represented by the Air Officer Commanding, Mobility Command, Air Vice-Marshall Napoleon Bali said adequate arrangements have also been made to carry out emergency surgeries for victims. Bali, who noted that a similar team was also in Patani, Delta state and other places across the country where flood has hit communities, said the gesture was part of NAF commitment to corporate social responsibility. Bali, conveying Abubakar’s commendation of Dickson’s ”pragmatic leadership and love of his people”, made assurances that the Nigerian Air Force would continue to render help to the state government to ameliorate the suffering of flood victims. The Director of Information of the State Emergency Management Agency (SEMA), Mr. Aziwei Ayi, commended the NAF for its medical outreach which, he said, would go a long way to complement the efforts of the state government.